In early November 2016 I received an email from Rych Somdah, a gentleman living in the US who had traced his ancestry to the Dagara people of Burkina Faso in West Africa. Rych reminded me that in my first post on Africa I wrote that at some later time I would explore the shamanistic practices of the Dagara tribe in relation to the elements. Now is that time. I am grateful that Malidoma Patrice Somé has devoted his life to sharing the teachings and practices of the Dagara with the English speaking world. The five elements of fire, water, earth, minerals and nature are an essential part of his, and their, story. 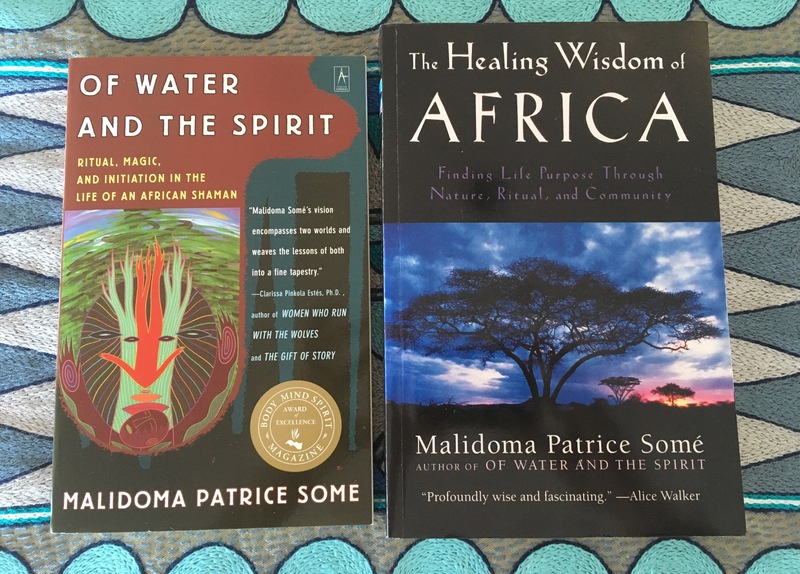 My introduction to the teaching of the Dagara people was through two books written by Malidoma Patrice Some – ‘Of Water and the Spirit‘ and ‘The Healing Wisdom of Africa‘. Somé, a Dagara shaman, shares his vision for connecting with nature through rituals based on the five Dagara elements. The books are compelling reading. Malidoma Patrice Somé was born in the village of Dano in Burkina Faso. The country received this name in 1984, prior to which it was known as the Republic of Upper Volta. Previously a colony of France, Upper Volta became independent in 1960. The boundaries of Burkina Faso and other African countries have mostly been imposed by Colonial rule. The 54 sovereign countries found in Africa today overlap hundreds of African tribes. In addition to being located in Burkina Faso for example, the Dagara tribe is found in the north-west of Ghana and the north-east of the Ivory Coast. My assumption is that the five elements of the Dagara people are fundamental to rituals across their territory, regardless of modern boundaries. 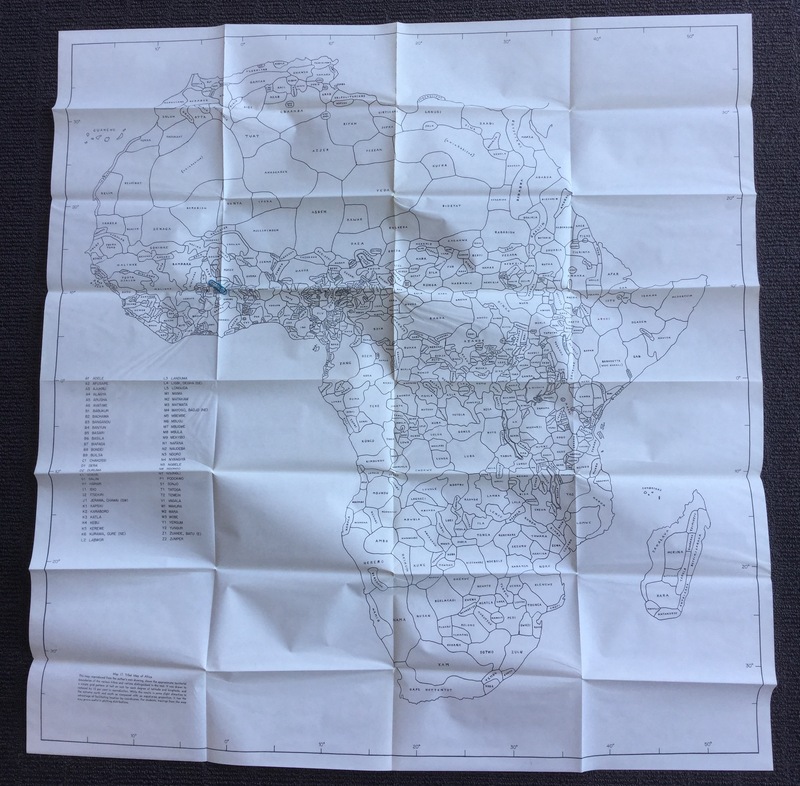 This hand-drawn map of African tribes accompanies the book ‘Africa: It’s Peoples and Their Culture History (1959)’. Written by George Peter Murdock, the book was recommended by a lady who specialised in African history and culture. She said the book was one of the most comprehensive and objective ones she knew of. The map illustrates the large number of tribes in the continent, each with their own way of life. The ‘Dagari’ (Dagara) tribe sits under the blue drawing pin in sub-Saharan Africa. The broad range of environments and influences across the length and breadth of Africa have led to diverse cultures including the Egyptians and the Bushmen of the Kalihari. Each has an elemental story to tell. In my post on Elemental Places I felt that the Okavango Delta in Botswana was defined by the element of water, another way to look at Africa through the lens of the elements. It has so much to teach us. 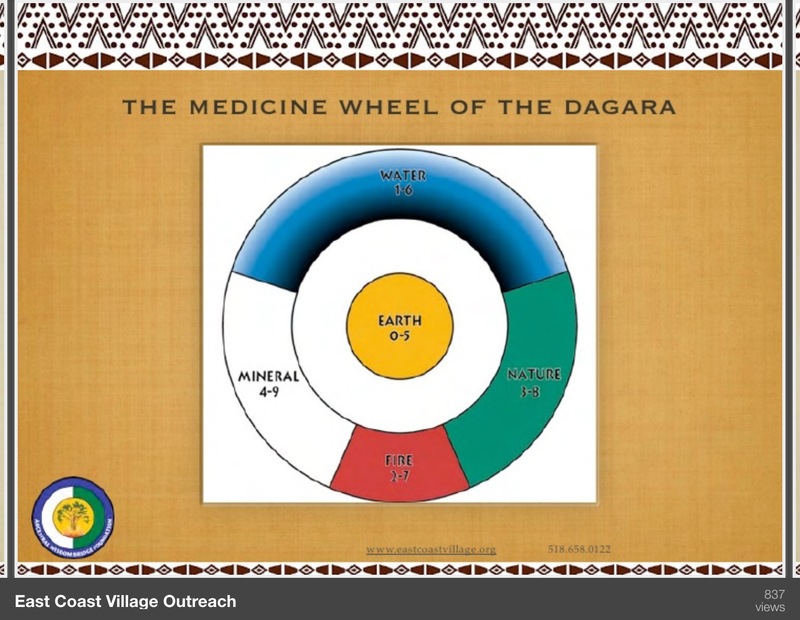 A Medicine Wheel is the basis of the cosmology and five element rituals of the Dagara. 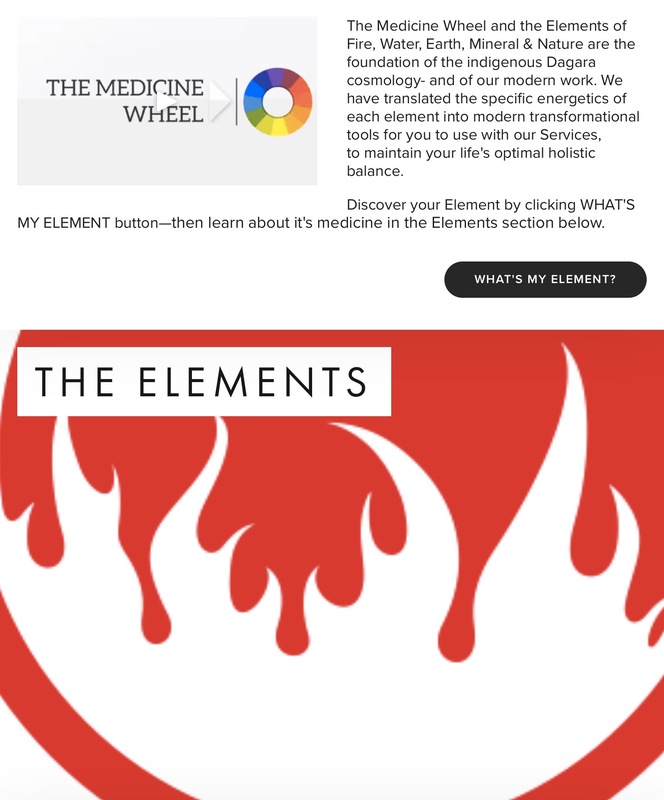 The five elements are Fire (red, south), Water (blue, north), Earth (yellow, centre), Mineral (white, west) and Nature (green, east). This image comes from a page called ‘Elemental Rituals’ at malidoma.com. It is a colour version, with slight modifications, of the Medicine Wheel illustrated in Somé’s book ‘The Healing Wisdom of Africa‘. Each of the five elements has deep meaning. The following descriptions were adapted from a SlideShare presentation produced by the Ancestral Wisdom Bridge Foundation (also see below). Fire, the original element, is seen as a most potent connection to the spirit world. It is puts us back on our spiritual track by consuming that which stands between us and our purpose. Water brings cleansing, reconciliation, purification and peace-making. Earth, the central element, is the mother who is inviting us to come home to community and the earth, our true home. Mineral is the elemental energy that invites us to remember, through ritual, who we are and why we are here. Nature asks us to open to transformation in order to realise our true and authentic selves. More detailed descriptions of the five elements are found in Somé’s book ‘The Healing Wisdom of Africa‘. The Dagara rituals associated with the elements call on our six senses. Touch is particularly important to the Earth ritual. Somé writes that there is a deeply sacred dimension to touch, and therefore, a ritual that allows people to touch one another allows them to relax in a sacred context. He feels that the lack of touch is the greatest source of grief in modern culture. Many other insights can be found in his books. ‘Of Water and The Spirit‘ includes remarkable descriptions of Somé’s experiences with the (super)natural elements during his initiation as a shaman. ‘The Healing Wisdom of Africa‘ is designed more as a guide for people looking to reconnect with nature, within and without, using the Medicine Wheel and the five elements as a framework. Like Eastern belief systems, the Dagara see the universe and life as circular rather than linear. I can understand why Rych is proud of his heritage. The energetics of the five Dagara Elements have been translated into a modern healing system in the US. This provides another example of the interest in these teachings and how they are being tailored to western ways. Susan Hough gives readings to help understand ‘the nature of your Element’ according to the Dagara Medicine Wheel. The reading is designed to reveal the characteristics and energetic qualities of a person’s Core Element, as well as the mix of additional Elements that influence their life. 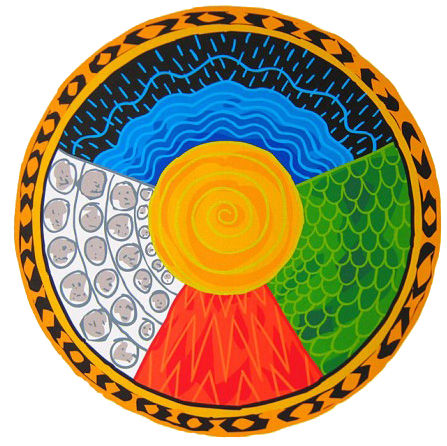 Susan was trained by Sobonfu Somé to chart and read the Dagara Medicine Wheel with a goal of realigning individuals with their unique purpose. My first post on the elements in Africa was about the Sufi. Since then I have tracked down more books about the continent, especially on sub-Saharan Africa. I have looked through these to see if I can discover more about the five elements of the Dagara people, and the role they play in their shaman teachings, with no success. If I come across new material it will be added to this post. Some of the books on Africa I have searched for more information on the five elements and the Dagara. I also have several books on individual African countries, regions and tribes. Some’s are the only two directly relevant to this post. Even so, looking through the books emphasised the important of rituals and rites in African culture more broadly. Fascinating material on other aspects of elemental Africa was unearthed during my search. That will have to wait for another time. This entry was posted in Africa, Books & reviews, Earth, Fire, Indigenous knowledge, Magic, Spirit, Story telling, The five elements, USA, Water and tagged Africa, Dagara, earth, Fire, Magic, shaman, the elements, Water. Bookmark the permalink. I’m sure Mr. Somdah will be touched that you researched this post based on his request. I found it very interesting to read about the relationship the Dagara tribe have with the elemental forces. It reminds me that there is so much to learn about the planet, and the people with whom we share it. I’m pleased that Mr Somdah approached me. As you know, not many people take the time to comment on blog posts, yet alone send an email. Due to their nature, my posts can only act as an introduction to a subject. My hope is that this one will spur further interest in the Dagara teachings and practices, and help unearth more material about them. That would be of interest to both Mr Somdah and me.